Rebecca Lange - Norwex Independent Sales Consultant: Freebies! Here is all the FREE stuff being divided up among the guests at my launch party! Let me know if you want to earn FREE Norwex products too, just for inviting a few friends over for a demo of some of our amazing products. I'll even clean part of your house! 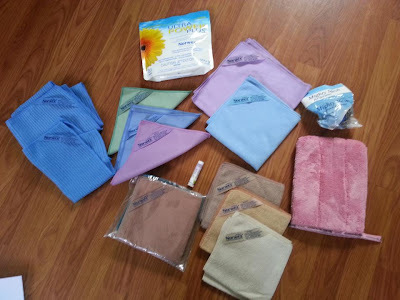 Ultra Power Plus vs. "Others"
Capitalize on the Norwex Potential! Pollen turning your car yellow?